UPDATED: Mon., March 26, 2018, 9:46 p.m. The WCC has approved changes that will trim two games from the conference basketball schedule and provide more protection for higher seeds at the WCC tournaments. The men’s conference schedule will consist of 16 games (eight home, eight away) instead of the double round-robin of 18. The top two seeds in the men’s and women’s WCC tournaments will receive byes into the semifinal round. Under the previous format, the top two seeds entered in the quarterfinals. 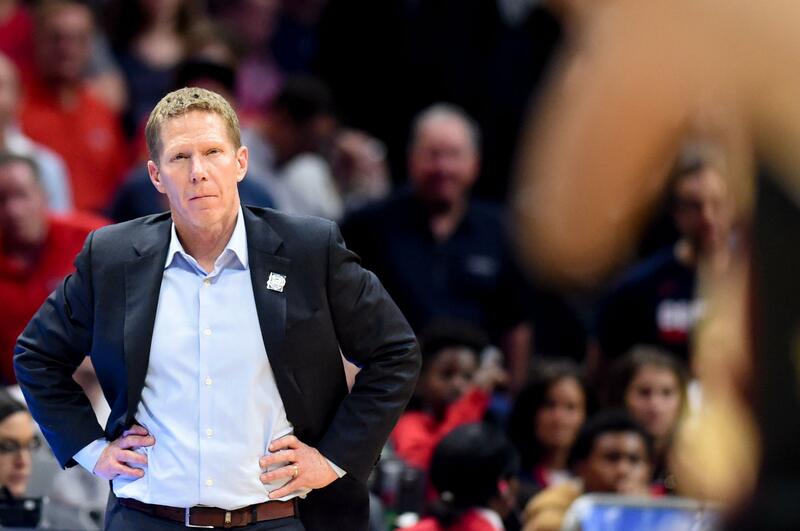 Monday’s announcement comes as Gonzaga is contemplating whether to join the Mountain West Conference or remain in the WCC. The scheduling adjustments, along with the conference’s acknowledgement of changes regarding distribution of NCAA Tournament revenue, strengthens the WCC’s case to keep Gonzaga, but GU athletic director Mike Roth stressed that the school hasn’t made a final decision regarding conference affiliation. The WCC release notes that changes to NCAA academic-based revenue distribution, men’s basketball unit revenue distribution and an adjustment to the licensing of future conference broadcast rights were approved in the fall. Gonzaga’s discussions with the Mountain West were first reported in February. Gonzaga’s RPI usually drops during WCC play when it faces opponents in the bottom half of the conference. The Zags have pushed for scheduling changes to lessen the RPI impact and open up additional non-conference opportunities that could enhance their at-large credentials and/or NCAA seeding. The scheduling changes go into effect next season. They are part of the Men’s Basketball Enhancement Plan, first discussed in June, 2017 with ESPN.com’s Joe Lunardi and others, to work within the current RPI system and maximize opportunities to get the most NCAA Tournament teams with the best possible seeds. —To play in a multi-team event every season. —To play more home games than away games. —To play no more than two non-Division I opponents. —To receive conference approval for “guarantee games” at an opponent’s venue. WCC teams will face seven league opponents twice, an eighth at home and a ninth on the road. The WCC Tournament format change eliminates the possibility of a top-two seed being upset by teams in the 7-10 range in the quarterfinal round, which could be devastating to a program’s at-large candidacy. The top two seeds in the WCC men’s tournament enjoyed byes into the semifinals from 2003-13. The format was scrapped with the addition of Pacific in 2014. “We are confident that these innovative adjustments will enhance access to the NCAA Tournament for the best programs of our marquee sport,” said Rev. Paul Fitzgerald, S.J., University of San Francisco President and chair of the Presidents’ Council. Published: March 26, 2018, 2:48 p.m. Updated: March 26, 2018, 9:46 p.m.